It’s been a while! Though there hasn’t been much blogging, there has been lots of knitting. The weather here is finally cooling down a bit. We have had a few days that have actually felt like fall, and it snowed above the bench! Snowbird is supposed to open the 22nd and I am pretty jazzed about it. Today it is back to 70 but sometimes it’s nice to have it warm in the city but winter up above. Salt Lake is cool in that way; I could climb and ski on the same day if I wanted to. It has been cold enough to want to knit a lot, and knitting a lot is ok with me! 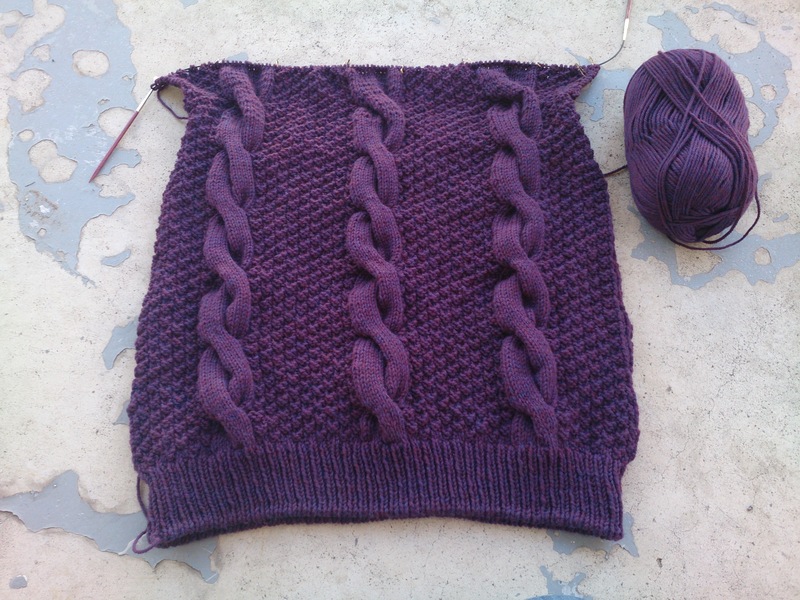 The Weasley Family Sweaters are coming along pretty well, but I think I need to pick up the pace a bit. I am about finished with the body on Emily’s and I love it so much. This is one that I will have to knit again for myself. I should be done with the body today and can move onto the sleeves.